My favourite medium is Black and white, there is an idescribable magic in black and white that is impossible to explain, it is in the shadows and in the highlights, in the details and in the mystique. Black and white treads a fine line between reality and fantasy. 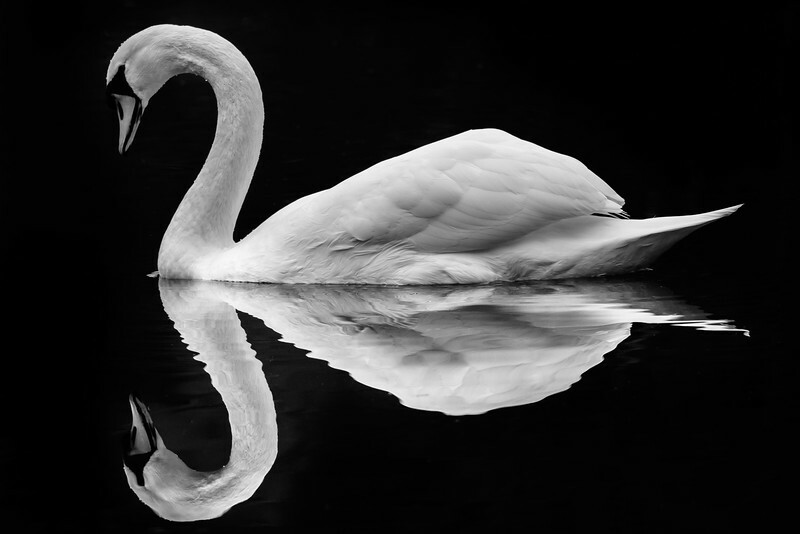 "Elegance" One of my favourite photo's, taken at Dunsmere near Delamere forest, this beautiful Swan just sat there perfectly still and let me take a shot.